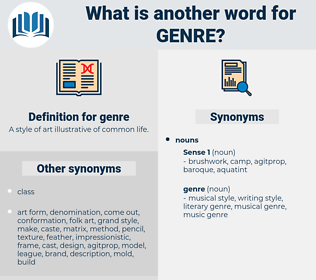 What is another word for genre? 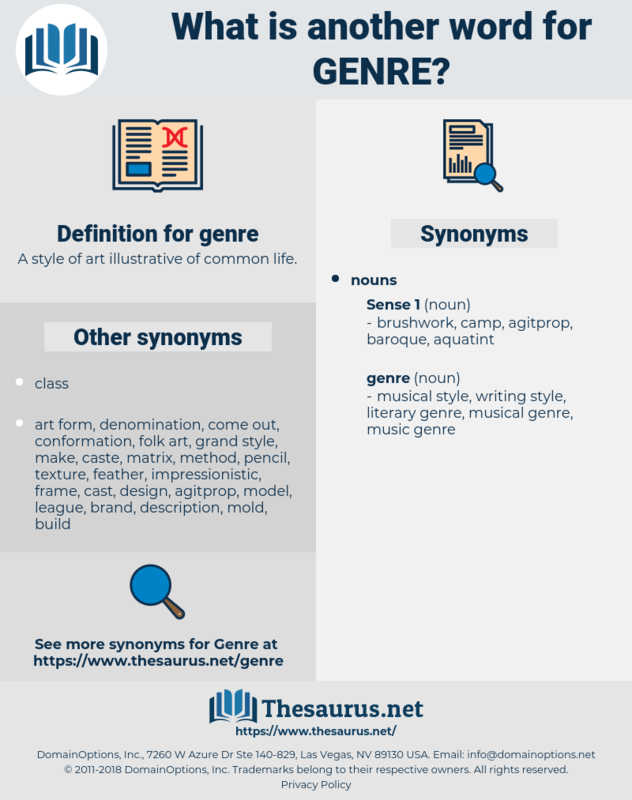 A style of art illustrative of common life. folk art, landscape, self-taught art, primitive art, modernism, naive art, magic realism, outsider art, primitivism, vernacular art, abstract art, landscape painting, pointillism, abstractionism, genre painting, chinoiserie, synthetism, postmodernism.